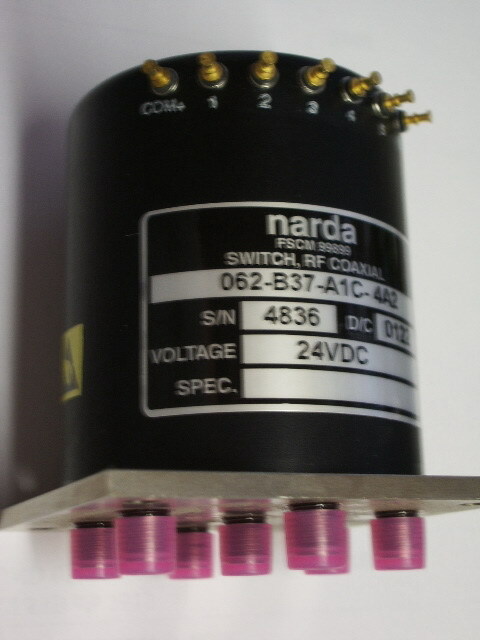 Narda components, some are new and some are used. We accept most credit cards. NOTE: Send email if you would like a button added to a specific item. 20600-3 2082-6191-03 attenuator 3dB DC-18 GHz call for avail. 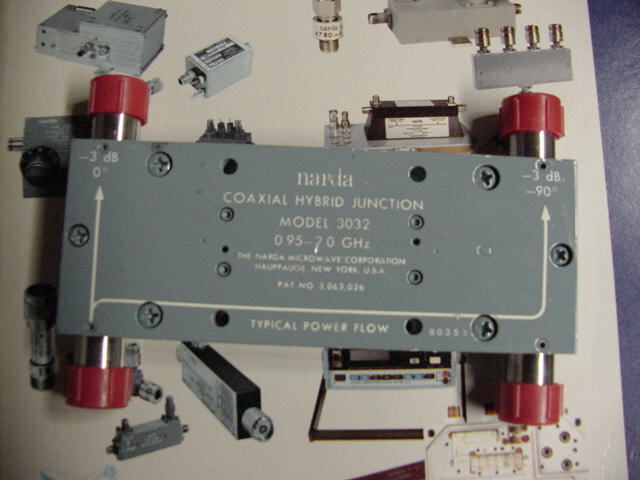 372NF sliding coaxial termination type N f 2-12.4 GHz 10 W.
374NM termination 20 watt DC-12.4 GHz. 376NM termination 40 watt DC-10.0 GHz. 376NM termination 40 watt DC-12.4 GHz. 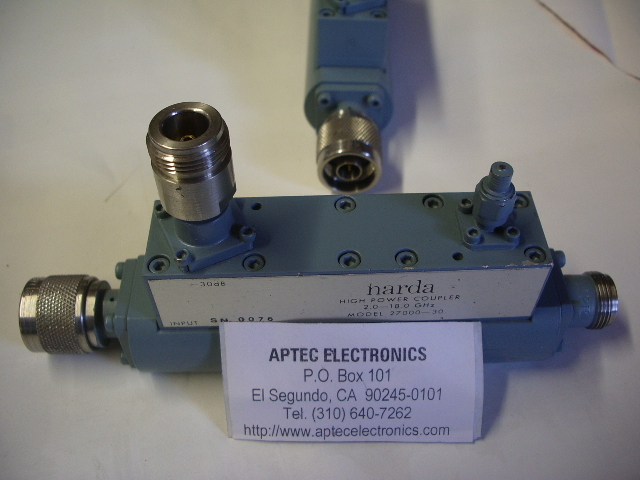 4011C-10 coupler 0.5-1 GHz sma NEW! 4033C hybrid 2-4 GHz sma NEW! 411-15 standard reflection 0.15 refl. coeff. 4227-16 1.7 - 26.5 GHz sixteen dB coupler NEW! 4242-20 20 dB Dir. 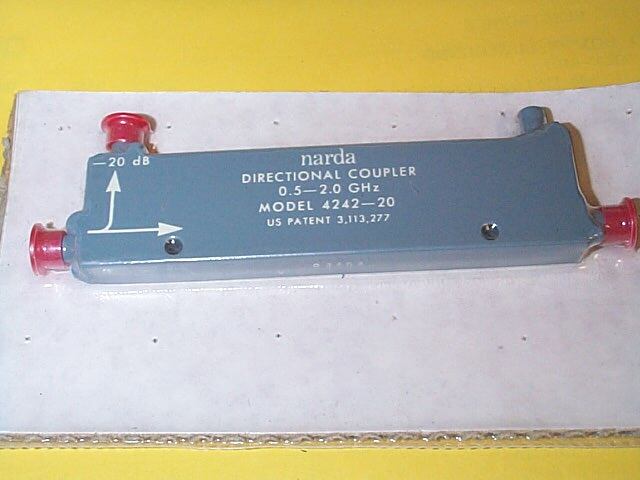 coupler 0.5-2.0 GHz sma BRAND NEW! 4313C-4 4 way power divider 2.0-4.0 GHz sma NEW! 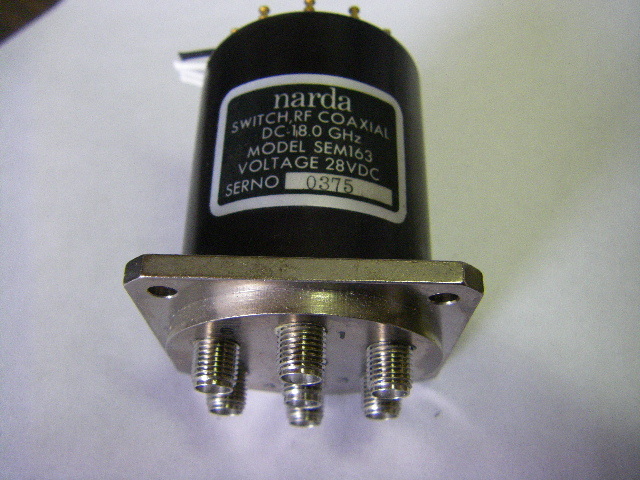 4378BM 5 watt sma termination DC - 18 GHz. 711T-10 10 dB tnc atten dc-3GHz 2 watt avg. 730 8.2 - 12.4 GHz 0-20 dB var. atten. 771-10 10 dB PAD TYPE N NEW! 771-3 3 dB PAD TYPE N NEW! 771-30 30 dB PAD TYPE N NEW! 771-40 40 dB PAD TYPE N NEW! 792FM 2-2.5 GHz 0-17 dB, 2.5-12.4 GHz 0-20 dB var. atten. 125 call for availability . 175 5+ JMqty call for avail.